The IbA-12 (Infantry by air) is a strategic military transport helicopter used by Swarmy. 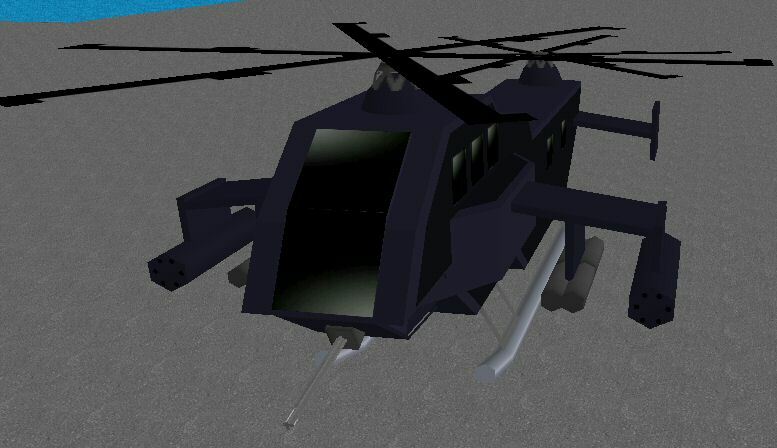 The IbA is equip with a few weapons primarily used to defend itself, as the helicopter is not agile enough to play an offensive role. On a non-specialized loadout, its two front wings are equip with a total of 4 air-to-air self guided missiles, 24 rapid-fire rockets, plus a machine gun mounted on its belly. The IBA series have been in use since 1999. IbAs are known to have a flight route through Cirrus Street where the public most commonly sees them.